Marshmallow Man to Ironman: Velonews Fast Talk Episode 15: Nutrition! I loved this one. Blew apart so many nutrition myths. My summary from the notes I made (and it's worth listening to the whole thing for the full explanations behind these things). There's really only two kinds of sugar in the end - glucose, and fructose. No matter what you eat, that's all it ends up as in your bloodstream for use. Maltodextrin, etc, is just a bunch of glucose bonded together that is ultimately broken down into glucose and absorbed into your bloodstream. It's not different. Avoid eating an hour before an event! Eating causes an insulin response that tells our body's cells "start taking glucose out of the bloodstream, there's too much". When you start exercising, your muscles now want to gobble up glucose that isn't there - and your blood sugar levels will drop before your body can adjust. 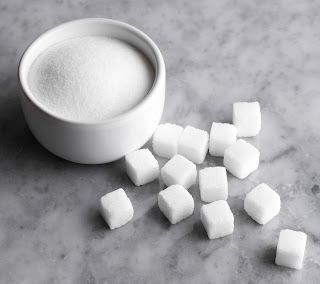 You need sugar in a good glucose/fructose ratio (3:1), and some electrolytes (not tons). Nutrition guy on the podcast eats Swedish Fish (from Canada though - so better glucose/fructose balance than American versions which have too much fructose). Another guy uses Twizzlers. Not in a race... but for longer training rides, you just don't need much more than a bunch of sugar. Anything beyond that will put a strain on your gut, especially as you go longer/harder. Sugar it up, baby! Immediately after a ride (~15 minutes) you want simple sugar to replenish your glycogen. Wolf it down. Protein - about 15-20 minutes later, along with a bit more sugar. Now you need electrolytes - more important now than before or during! Helps your body re-hydrate. Chocolate milk, for example. You DON'T need much sugar - spiking of insulin causes health issues irrespective of your exercise load. Diabetes, obesity, etc etc etc - lots of bad things. Eat regular people healthy food. You don't need nearly as much as you think. You lose more fluid than sodium in your sweat, your blood actually gets saltier - but you actually want to replenish more water than sodium. And you lose more sodium than potassium.